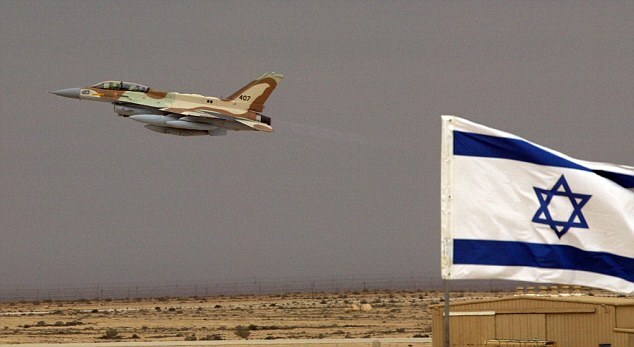 BAALBEK, Lebanon: Israeli planes launched two air raids against a Hezbollah post in the Nabi Sheet area on the border between Lebanon and Syria Monday evening, a security source told The Daily Star. The source said Israeli planes launched four rockets on the Janta area in the mountains separating the Lebanese village of Nabi Sheet from the Syrian border. The source added that the Janta area is known to house a Hezbollah post, where recruitment and training are carried out. Janta is also a well-known route for arms smuggling between Lebanon and Syria, the source added. Eyewitnesses said plumes of smoke were seen rising from the area were the Israeli planes carried out the strikes. The planes were see leaving the area from the West, towards the Mediterranean Sea and back to Israel , the source said. Hezbollah is fighting alongside the forces of Syrian President Bashar Assad. The party has lost close to 500 fighters since it engaged in the war in Syria.